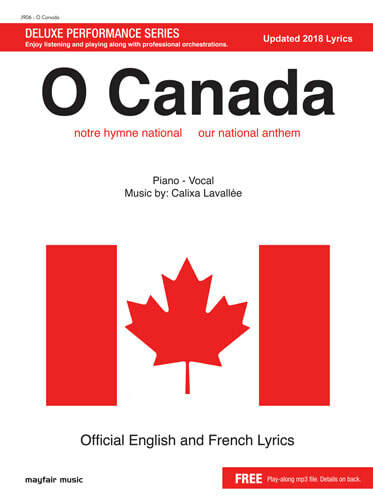 “O Canada” was proclaimed Canada’s national anthem on July 1, 1980, 100 years after it was first sung on June 24, 1880. The music was composed by Calixa Lavallée, a well known composer; French lyrics to accompany the music were written by Sir. Adophe-Basile Routhier. The song gained steadily in popularity. Many English versions have appeared over the years. The version on which the official English lyrics are based was written in 1908 by Mr. Justice Robert Stanley Weir. This official English version includes changes recommended in 1968 by a Special Joint Committee of the Senate and House of Commons. The French lyrics remain the same. 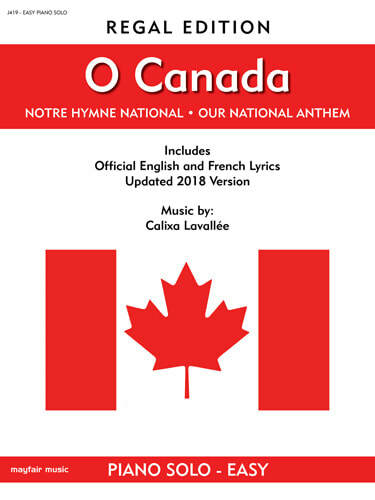 **All three versions of O Canada contain updated/revised 2018 lyrics. 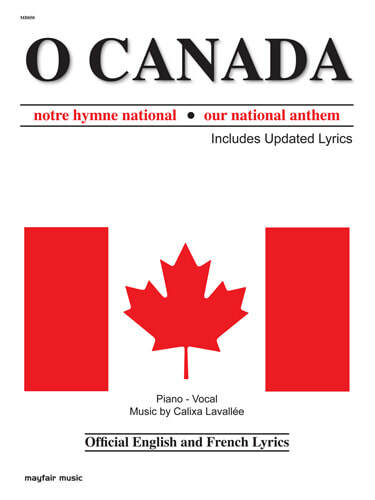 Music from Canada is proud to offer 4 versions of our national anthem for piano: deluxe (with free play-along download tracks and French/English Lyrics); regal intermediate level (with English/French lyrics); regal easy piano (with simplified score and English/French Lyrics); and a jazzy duet score by composer Robert Benedict.